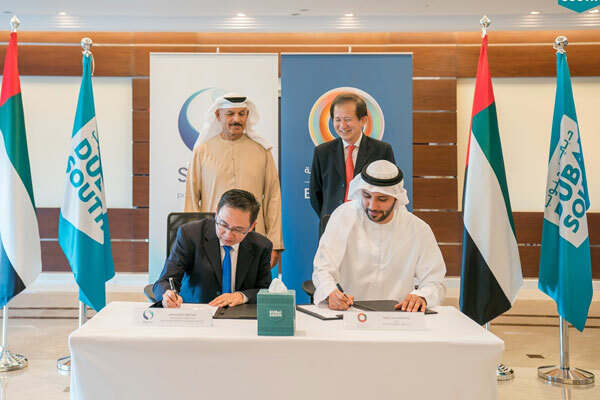 Dubai South, the 145-sq-km urban city development emerging in the emirate, said one of its units, South Energy, has signed a MoU with Singapore-based SP Group as part of its efforts to boost its district cooling capabilities by exploring key opportunities with the company. The agreement seeks to explore key opportunities through joint venture initiatives set to further enhance district cooling services in the region, said a statement from the energy solutions arm of Dubai South. The agreement with SP Group represents the Emirati group's strong interest to further engage in enhancing its technical capacity as well as knowledge and skills in the energy sector, remarked Khalifa Al Zaffin, the executive chairman of Dubai Aviation City Corporation and Dubai South, after inking the deal with Ismail Al Marzooqi, the chief executive of South Energy at the Dubai South Headquarters in the presence of top officials from both companies. The top executives from SP Group who witnessed the signing of agreement include Wong Chit Sieng, the chief corporate officer; Jimmy Khoo, the managing director, Singapore District Cooling; Lim Howe Run, the head of strategic investments; Lim Soon Heng, Director, Corporate Strategy; Mak Ye Chyn, Director, Strategic Investments. Al Zaffin said: "In line with Dubai South’s long-term vision to become a leading investment destination in the region under the Dubai Plan 2021, Dubai South has always kept its doors open for collaboration and in establishing mutual support to key partners in order to achieve common goals." "We are confident that improving our capabilities through this partnership is another major step forward towards building Dubai South as an ideal community to work and live in," he added. It also seeks to build partnership on various initiatives aimed at expanding Dubai South’s capacity to serve the future needs of the city. Kim Yin said SP Group was pleased to collaborate with South Energy to provide advanced district cooling expertise and technology in the Middle East region thus helping customers enjoy a high quality, fully sustainable urban lifestyle. "The strategic new partnership is further bolstered by our experience in running the world’s largest underground district cooling network in Singapore’s financial and leisure hub and the operations we are currently setting up in China," he noted.